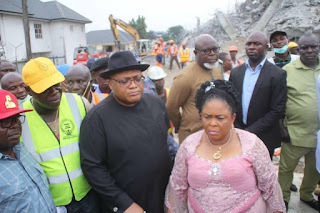 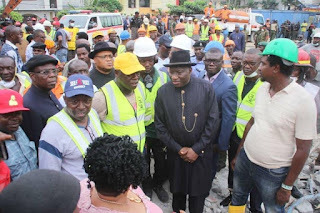 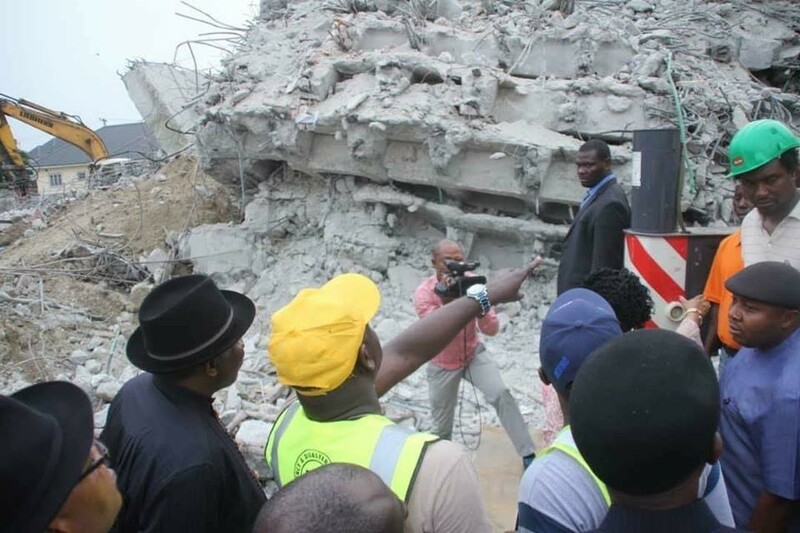 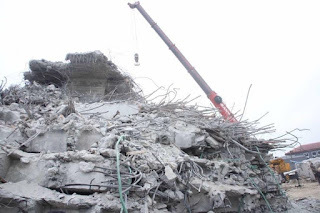 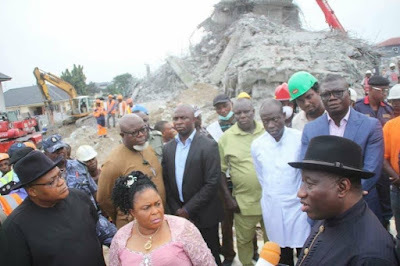 On Friday evening November 30th, former president Goodluck Jonathan and his wife, Patience, paid a visit to the site of the 7-storey building that collapsed in New GRA. 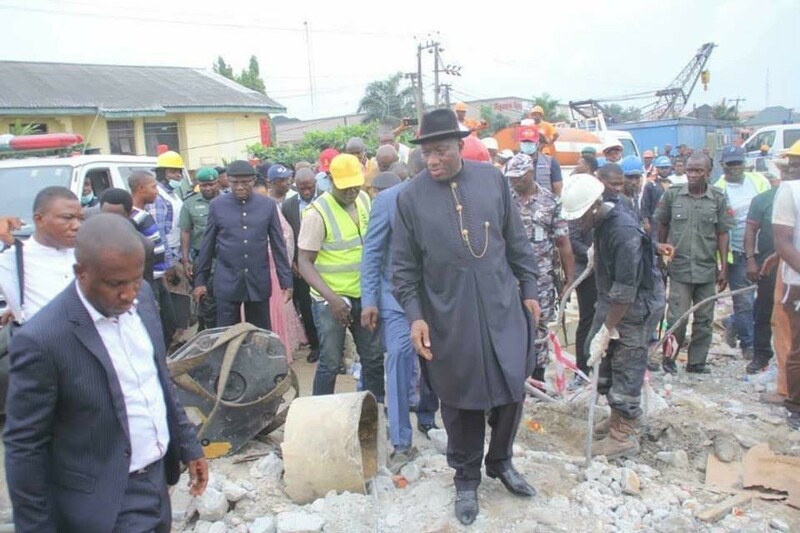 Port Harcourt in Rivers state on Friday November 23rd. 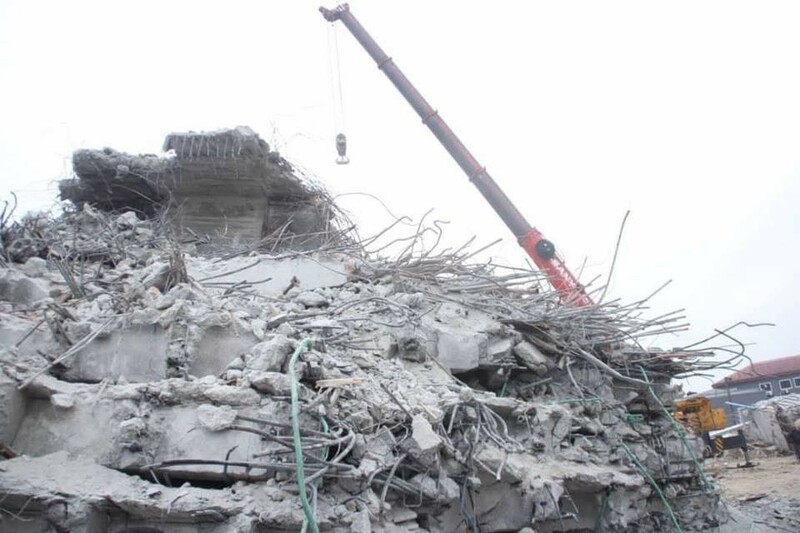 After one week, over 100 persons are still said to be trapped in the rubble.